"If there is money in the City's bank account, why cant we pay all of our bills today?" 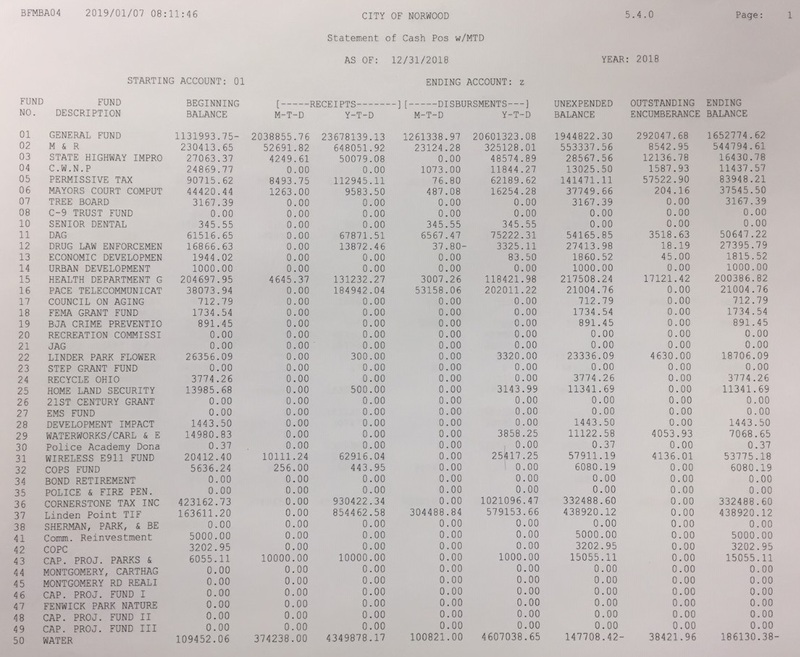 The "Statement of Cash Position" Report breaks down the City's cash balance into separate funds operated by the City. Funds are established by City Council and Approved by the Auditor of State as accounting devices segregating revenue which is restricted by law. Funds limit the use of revenue to specific areas of the budget. 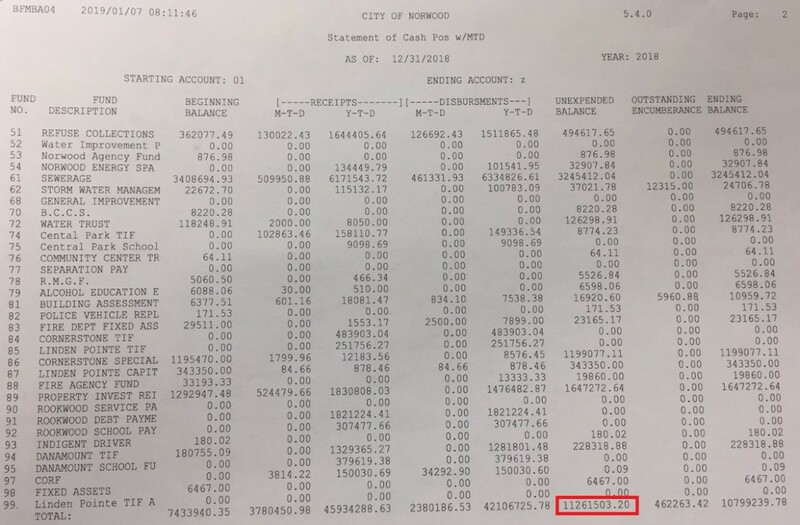 Simply put, the City cannot use money paid by residents for their water bills (Fund 50) to pay for Fireman salary (Fund 01). Funds segregate revenue and balances for street repair, State highway operation, Water Department, Health Department Grants, TIF districts, and many other areas. The Total of all fund balances matches the City Bank Reports showing what the money can be used for. "Encumbrances" are outstanding Purchase Orders and not necessarily money owed.